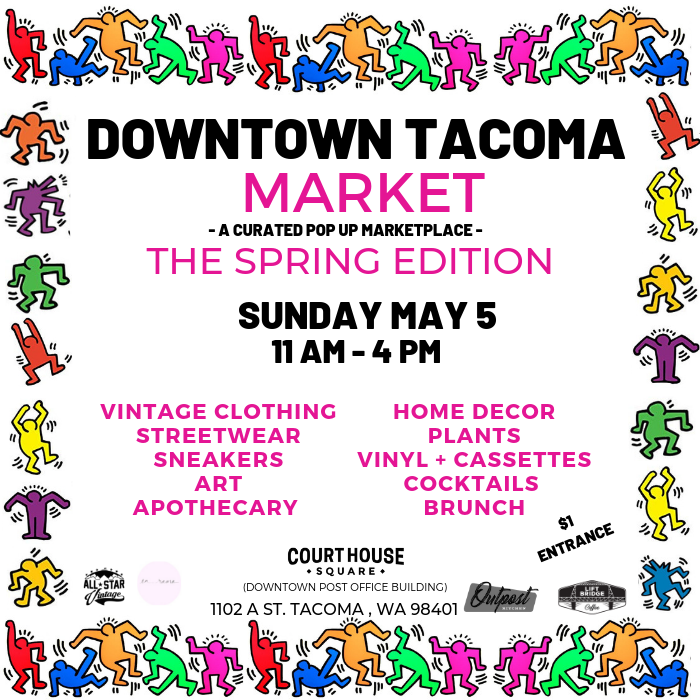 Spring is in the air at the Downtown Tacoma Market! 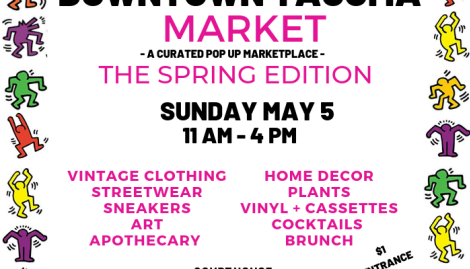 Join us for an afternoon of shopping, brunching and fun at historic Court House Square! Shop a curated selection of vintage clothing from top vintage dealers throughout the Northwest. Meet your new favorite artist. Find those rare sneakers you've been hunting for and meet 40+ small businesses and makers. en Rama will be open serving delicious food and cocktails, The OutPost Kitchen will have grab-and-go options, and Lift Bridge Coffee will keep you caffeinated! Family Friendly. $1 entrance. Hope to see you there!